Oltrarno (across the Arno) is one of the most fascinating districts of Florence. Here you see, hear and possibly speak with the artists and merchants while they deal with their creative daily routines. 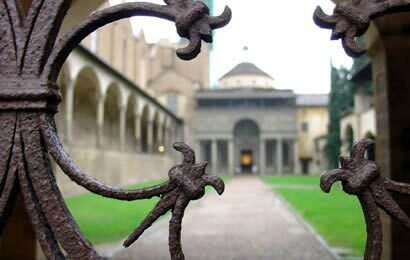 At the Church of Santo Spirito you view paintings of Roselli, Ghirlandaio and Lippi. At Santa Maria del Carmine you see the recently restored frescoes of Masaccio. Then you visit a once lavish Medici Residence, now home to the Palatine Gallery. The day ends at the Boboli Gardens with an opportunity to wander among the cyprus trees and gaze at spectacular Florentine vistas. Your Lecture-Guide takes you on a slower pace, away from the crowds, recreating the worlds of Titian, Rubens and Perugino along with the already noted Michelangelo and Leonardo.